This article appeared in the May 1999 issue of Keertana, the newsletter of the Carnatic Music Circle Melbourne. It has since been reprinted in other Indian publications. As a Westerner interested in Carnatic music, I am frequently asked to explain my interest and to articulate what makes South Indian music special. Both Indians and Westerners ask the same questions. Since I did not grow up with it, but rather chose it for myself from among a broad range of world traditions, Carnatic music is special indeed. There is always a sense in which cross-cultural interactions serve not only to broaden one’s horizons, but also to set one’s own cultural identity more strongly in relief. My more direct and natural interest in Western traditional music has been nourished by an appreciation for Indian music, and the same can hopefully apply in reverse. Here I hope to describe some points in common, as well as some of the strengths of Carnatic music from my perspective. In the West, the classical music known best, that of Mozart and Beethoven, centers around the medium of the large orchestra and the ideas of counterpoint and harmony. Within that context, Indian music is unusual, and the idea that it is fully “classical” in scope can be met with some resistance. Curiously, this phenomenon of resistance is reflected in the reception met by other Western music within the broader sweep of history. For me, interest in Western music focuses increasingly on that of the medieval era, from roughly eight hundred to five hundred years ago. This is an exciting repertory which is being reconstructed today for public performance, and it has come to include a wealth of detail and nuance which can stimulate one both intellectually and spiritually. It would be naive to suggest that 14th century Frenchmen visited India and returned with the ideas of raga and tala (and, at any rate, their music can be extremely complicated in its own way, by way of counterpoint and simultaneous texts), but what can perhaps be suggested is that basic ideas on melodic and rhythmic patterns are natural to the human mind. In the West, these more elaborate melodies and rhythms were progressively abandoned from one century to the next, to the point where Mozart writes such easy phrases in simple rhythms, concentrating instead on movement from one chord to the next. So while we may have had our Purandaradasa in the person of Guillaume Dufay (1397-1474), to continue the analogy, it would be as if our Thyagaraja wrote for Balinese gamelan. The different generations can barely recognize one another. In Carnatic music, I find first an outlet for my own desire for elaborations on songs per se, in structure as well as melodic and rhythmic ideas. In what tradition can the songs be said to be so perfect, both in their grandeur and in their succinctness? There can be no comparison, especially in the directness of the expression and the range of melodic material available. One can find one or the other in many places, whether a simple and beautiful song, or an impressive intellectual construction based on a nonsense phrase or no words at all. Carnatic music accommodates both of these ideals, and does so to magnificent effect. A song can be performed simply and in all humility, or with the grandest elaboration retaining the core of both meaning and melody. Of course the meaning of the lyrics revolves around acts of religious devotion. One can rightly ask both concerning the relevance of devotion in our modern age of technology and selfishness, as well as the ability of a Westerner to apprehend and appreciate it. Indeed, it would be presumptuous of me to suggest that I fully understand the songs of the Trinity. I understand parts of them, sometimes after they are explained to me. Nonetheless, I identify with them somehow. The ideas find a personal resonance, not least of which because they are expressed with such musical grace. The sophistication of allusion requires some cross-cultural explanation, but the core idea of devotion meets with receptive listeners elsewhere. There is a very real sense in which the kritis speak to me, both in word and in music. They express the power in the world beyond petty human concerns, something which music is so ideally suited to express. In the West, Dufay was no “dasa” and so while he was nominally an official of the Catholic Church, his influence on our history was more cosmopolitan. There is less emphasis on devotion, and more on political events or more ordinary topics. This sequence is also seen as part of the “modernization” of the West, and of course it was also the background to the new age of political conquest. This is the divergence which perhaps most strongly conditions the reception which Carnatic music meets in the West. While the nonsense phrases or abstract instrumental gats of Hindustani music find an audience in the meditative Westerner, the unveiled potency of expression in Thyagaraja insists that the listener confront his own ideas on his place in the world. Today devotion is an uncomfortable topic for many, and the same can be said for classical aesthetics. The complementary ideas that a particular melodic phrase can invoke a specific human emotional response and that the effectiveness of music can be reliably ascertained are certainly unpopular now. In many ways, this is an outgrowth of the same multiculturalism which allows me to attend Carnatic concerts, but it is also part of the rise of democracy as an intellectual ideal as well as a political system. At least in the US, we are supposedly equal, and the same should be said for our taste in music. For a professional musician, the idea is somewhat insulting, because how can the ignorant know of what they judge? They cannot, but we are forced to acknowledge them to make a living, if for no other reason. Carnatic music is at a crossroads on the issue of aesthetic diversity, especially as its international reputation increases. It is already true that some of the most successful performers in worldly terms are able to make a living by touring the West, and not by representing Carnatic music in its most pure form. Of course there is a very real sense in which an art form must develop and adjust in order to make the same impact on its audience, and Carnatic music knows this fact better than most. It has incorporated the Western violin, and moved to a modern concert setting, complete with amplification. Instrumental innovations continue with the amplified veena and mandolin, as well as the Western saxophone and clarinet. Carnatic music has easily maintained its own identity, not least of which because it is a reservoir of musical ideas and expressions, not specific combinations of sonorities. There is some controversy as to what exactly makes a raga. If it is a sequence of swaras only, then one can make the same “raga” sound not much like Carnatic music by playing it without gamakas and in unusual tempo and phrasing. This is the position of some Indians, as well as that of many Western composers who use the ragas as raw material. Not so long ago, a Western composer who wanted to use a raga as a melody after reading it in a book had probably never heard it. Although the suggestion may seem absurd, it is both true, and central to such issues as the performance of Western medieval music. Indeed the latter has essentially been resurrected based on writing alone, after a span of several centuries. Can we imagine how different it must sound? For the phenomenon of resurrection in Carnatic music, one needs to look no farther than the gold engravings of Anamacharya. Do we know how these kirtanas would have sounded? In some cases, as with the kirtanas of Purandaradasa (which are of similar age, but never actually lost), we know the ragas have changed. Nonetheless, this music is performed with confidence, derived primarily from the manner in which similar music is performed and the knowledge that it has been passed down in this way from generation to generation. In other words, there is a continuous tradition of performing Purandaradasa, and so it is natural to perform the rediscovered songs of Anamacharya in the same manner. There is no question but that various changes have occurred, whether in the ragas in which Purandaradasa is performed, in the ragas as named by Mutthuswamy Dikshitar or others, or even in talas as given by Shyama Sastri. This is not generally seen as a problem, or even as an intellectual issue. Changes in raga or tala designation are regarded as a natural part of the evolution of Carnatic music, whether as clarifications of structural concepts or as simple improvements to the fit between words and music. There may or may not be a danger to the idea of evolution in music, but from a purely scholarly perspective, there is an inherent interest in knowing how something was done at an earlier time in history. Some of these details are recoverable in Carnatic music, but there is consequently an implied question regarding the guru-shishya system and its ability to reproduce music exactly. Already many prominent performers will train with multiple teachers from different lineages and that is a clear indication that no style will be preserved exactly. In the past, the same must have been said for those artistes sophisticated enough to forge their own new style. It would certainly be pointless to suggest that the talented musician of today should not develop his or her own gifts and ideas or that the opportunity to travel and study on friendly terms with many prominent teachers should not be taken. It is a philosophical truth that isolation undertaken as a choice is not the same as that enforced by circumstances, and so there is not even the possibility of a return to other methods. What I am suggesting is that we will see a natural bifurcation between the continuing development of “mainstream” Carnatic music and an increasing number of scholar-performers who will recreate historical and regional styles. Given the ubiquity of the Western university tenure system, one cannot underestimate the motivation provided by mandatory publication and thesis in developing these ideas, for better or worse. 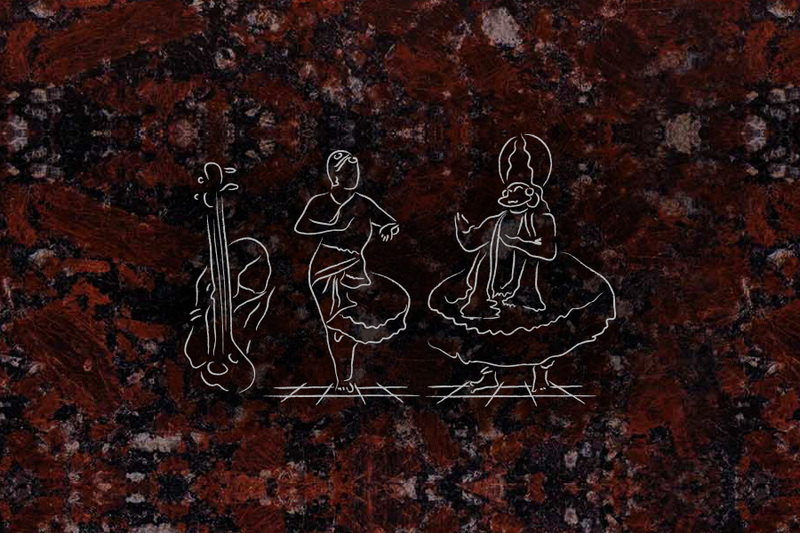 Dynamic and invigorating interaction between tradition and innovation has been a hallmark of Carnatic music, and even an increased polarization between the two does not need to damage the overall balance. If anything, it will broaden the scope of performance opportunities and the range of available ideas. It is precisely the dual richness of a long-standing tradition together with ample opportunities for modern virtuoso treatments which serve to place Carnatic music among the world’s greatest musical styles. As the divergence increases, as long as one aspect keeps respectful sight of the other, the available scope for interaction increases as well. An analogy may be drawn between the manifest and unmanifest instantiations of Brahma, and indeed I view the duality between tradition and innovation in a similar way, dependent on each other. After all, a stagnant tradition is not true to its origins either, because its origins are in the crucible of creativity. The success of music is ultimately in the mind of the listener, and specifically in the physical and emotional changes which can be provoked. It is a simple fact that Carnatic music has only a positive effect in this way, while the same cannot be said for various forms of popular music. Both the ability of music to build and release tension, as well as its potential to unlock latent energies in the mind are respected and developed. When discussing lofty ideas with people, there are often various mental blocks which must be overcome, and knowing the way around them gracefully is a large part of the art of teaching. With its rich variety of ragas, Carnatic music provides a nearly limitless array of melodic patterns which can be used to effect this navigation under a variety of circumstances. Together with a system for organizing them, these melodies make it possible to clear the mind of obstacles. It is no coincidence that the kucheri traditionally begins with a song on Ganesha, and the same concept may be extended to include the audience’s apprehension in general. To return decisively to the opening question, I value Carnatic music first for the effectiveness with which it can build positive mental discipline. It helps me to focus and organize my thoughts, and it helps to eliminate negative mental habits. How does it do this? Of course, I do not really know. However, I do claim that music naturally illustrates patterns of thought, and in the case of the great composers of Carnatic music, these mental patterns have been effectively conveyed at the highest level. I am personally attracted to Muthuswamy Dikshitar more than the others. 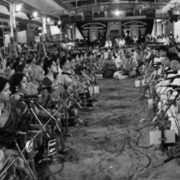 One challenge for Carnatic music is to continue to meet the demands of modern times, especially as the basis for communication with the audience changes. Modern composers have continued admirably in this regard, although the pace of change for the younger audience will be much faster, and the act of composition may need to adapt accordingly. Even as its range expands, Carnatic music will continue to communicate the highest ideals, and many people around the world will be listening. There will be more interaction with other traditions, but there is also an audience for the strictest styles in the West. Carnatic music is one of the world’s great treasures. I am honored to have been associated with it in some small way, and to have had the opportunity to write this article. https://dhvaniohio.org/wp-content/uploads/2011/10/dummy.jpg 600 900 shankar9262 https://dhvaniohio.org/wp-content/uploads/2017/02/logo.png shankar92622011-10-01 10:12:262018-05-06 22:06:02Why Carnatic Music?